As President Donald Trump keeps up an active schedule campaigning on behalf of Republicans up for election this November, he announced what he predicted would be a highly anticipated event in Texas. 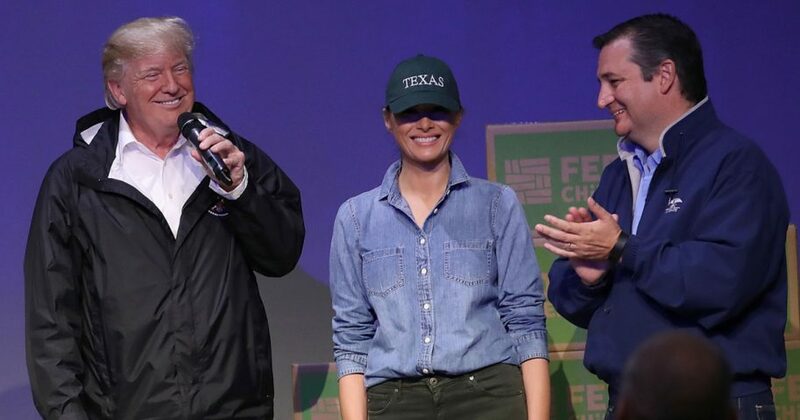 Set for the final weeks of the midterm election cycle, Trump tweeted that he would be in Texas to host a rally for U.S. Sen. Ted Cruz, a bitter presidential rival but close legislative ally. The president went on to make it clear that the incumbent, an influential figure in the tea party movement, has his full support in the race against Democratic challenger Beto O’Rourke. Of course, his vociferous praise ahead of the 2018 election led more than a few critics to rehash tweets that showed a different assessment of Cruz when he was seeking the presidency. At that time, Trump frequently expressed the opinion that the senator was a liar. Do you support Sen. Cruz? Two months later, Cruz responded to the mounting personal attacks with a tirade against the campaign front runner. “This man is a pathological liar, he doesn’t know the difference between truth and lies,” Cruz said in a May 2016 news conference. The two have publicly worked to mend fences in the nearly two years since Cruz offered his endorsement after suspending his own campaign. Earlier this year, Cruz penned an entry for Time’s “100 Most Influential People of 2018” cover story. In addition to campaigning for Cruz in October, Trump has vowed to use his bully pulpit to influence races across the U.S. He told Fox News Channel host Sean Hannity last month that he plans to “go six or seven days a week when we’re 60 days out” from the Nov. 6 election. “And I will be campaigning for all of these great people that do have a difficult race,” he said.